Visitors should not pass up an opportunity to visit the park’s Nature Center. Information on the park itself, and recent bird sightings can be found there. The bird feeder area often hosts winter finches before other areas of the state, and gives good glimpses at some of the more common species. The Nature Center is open daily from 9:30am-4:30pm (closed Mondays in the winter). 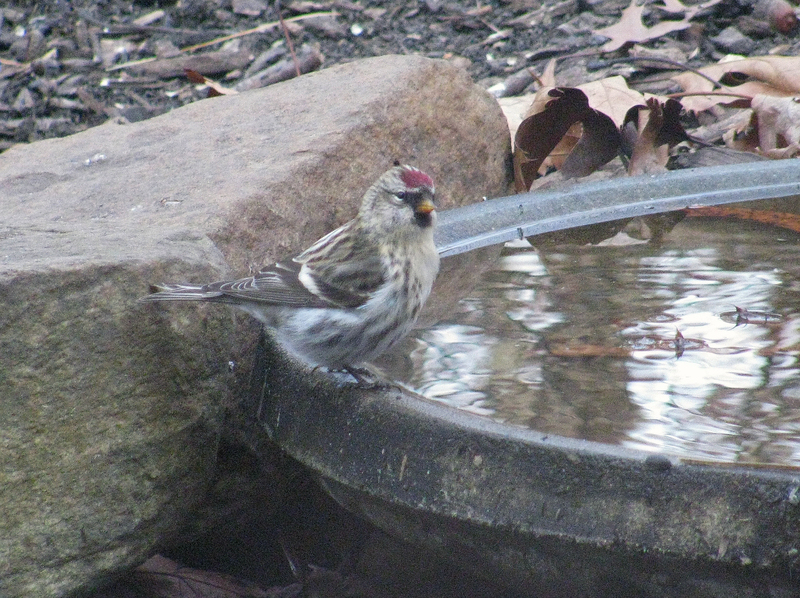 Common Redpoll at Dunes State Park feeders. With the park’s position along the southern shore of Lake Michigan, many migrants entering the state in the fall will arrive in the park and it’s feeders long before other feeder stations in the park. 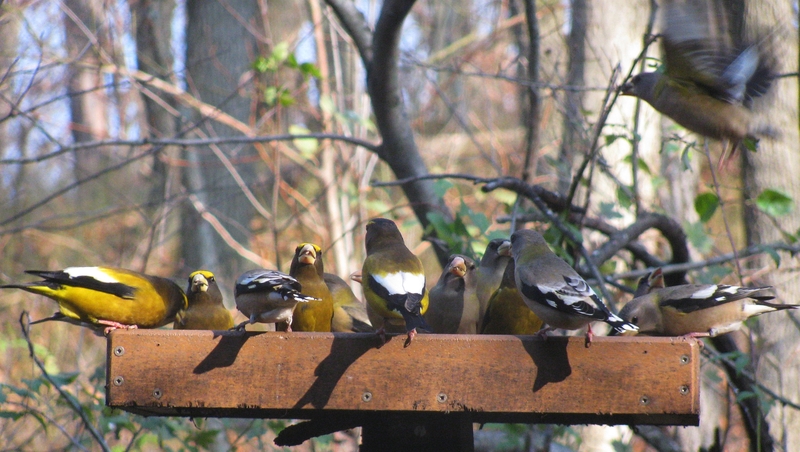 With adequate funding by the park’s friends group, the feeders are well stocked year round. While typical fall arrivals can be found at the Nature Center a week or more before others, many unusual birds are seen visiting or passing by the feeder area. Thrushes, warblers, and tanagers are all birds seen near the feeders. The feeders have been known to be stalked by Northern Shrike, and may be the only feeder in the area with Henslow’s Sparrow records! 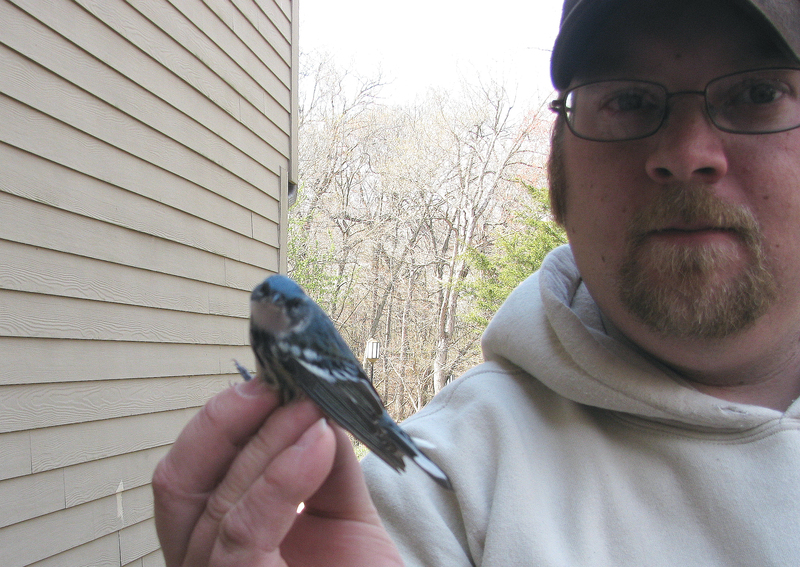 The park’s banding station has even netted Cerulean Warbler from the feeder area. Cerulean Warbler banded at the Nature Center feeders. Other notable birds seen from the feeder area include Pileated Woodpecker, large hummingbird numbers in late summer, Cape May Warbler, Clay-colored Sparrow, Harris’s Sparrow, Summer Tanager, Hoary Redpoll, and Evening Grosbeaks. Evening Grosbeaks in the Dunes from last November. The park’s feeders and surrounding woodlands are the base for songbird banding demonstrations year round. Public banding is typically offered monthly. Visitors will want to check the park’s interpretive schedule for the most recent banding demonstrations. 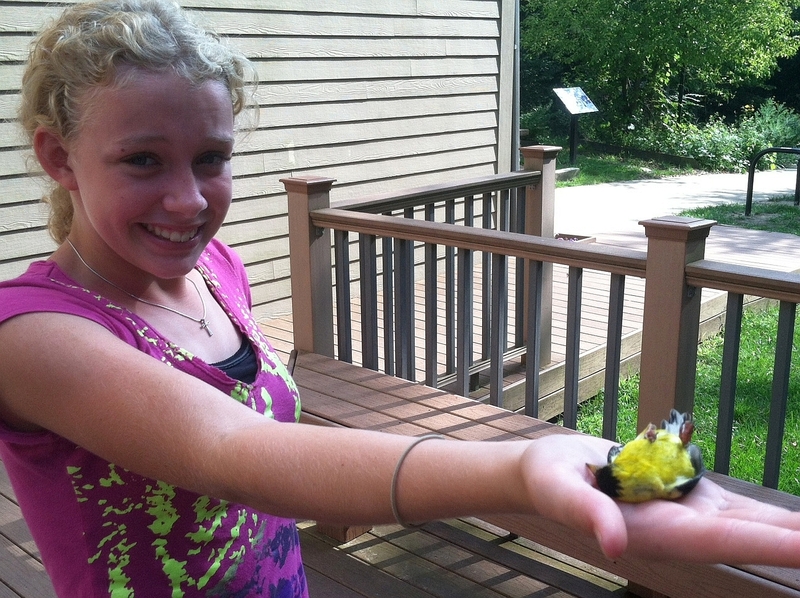 Young girl helps out in bird banding.